I have been wanting to add this little doll to my Faith FlashCards since I first saw her. 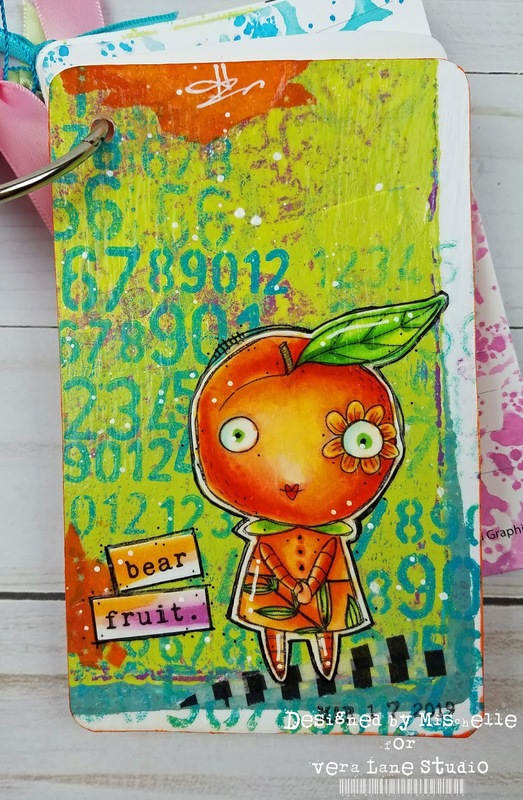 Colorful and happy is the theme of these cards so I went with bold pops of delicious color. 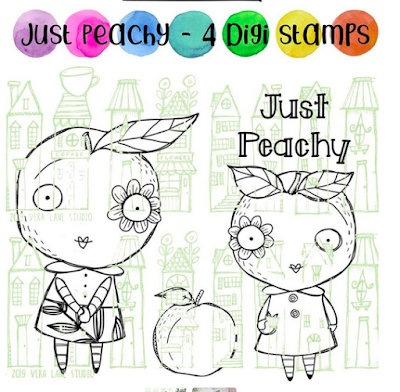 How cute are these peaches in the Just Peachy collection! 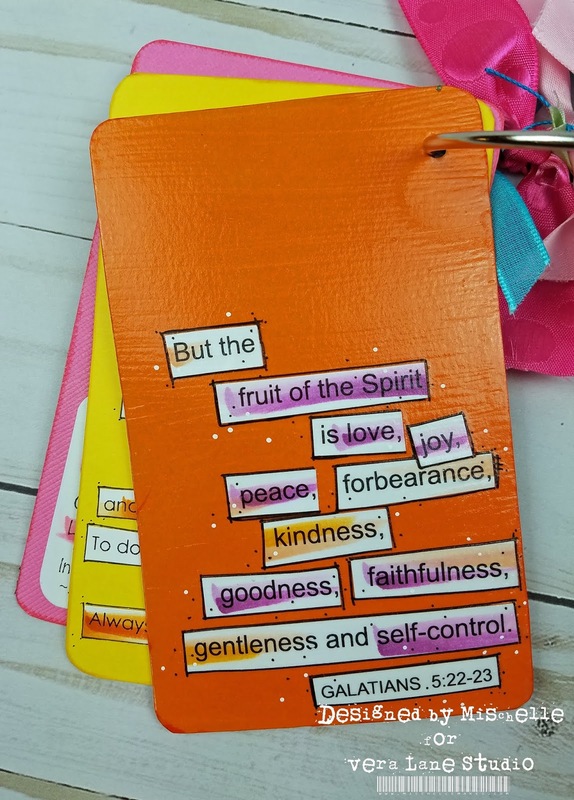 I have to design a layout in my Faith Journal with this same theme. I used a Gelli plate print for the base of this card, added some stamping and layered my image and saying on top ... with some touches of washi tape and cardstock scraps. The image is colored with Copics. A clean and simple backside completes the look. 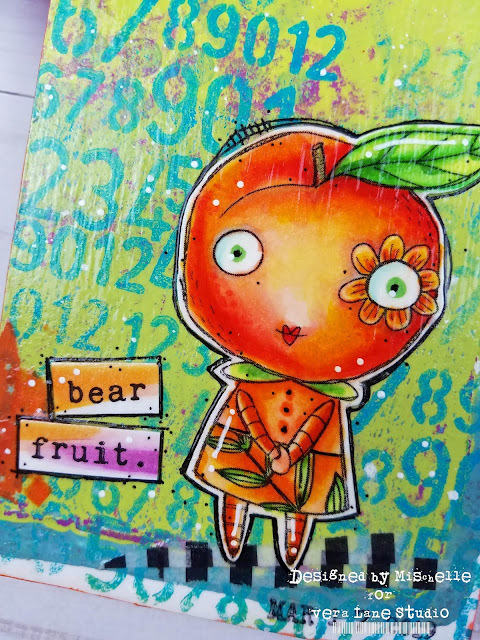 I decided to brush a coat of glossy ModPodge over each card to seal them and give them more of a finished look ... I am LOVING this look in person! I'm looking forward to adding my next card and sharing it with you. This is becoming such a fun little flip book!